„We tend to be busy all day, and when we come home we continue to be busy. We cook; we clean; and we putter around. Or we are so tired of being busy that we want to do something mindless and easy, like watching a television show, or taking a nap. Then, we go back to being busy again. There is a way to feel refreshed and alert without being busy. All we need is a gentle reminder—a location, an image, or a sound— to help us return home to ourselves and pay attention to what is there inside us and around us. We can touch the present moment in all its fullness and joy if we simply have a place, and a way, to stop. Stopping the random progression of thoughts is the first step in our meditation practice. The key to creating a home meditation practice is to create a space where the busyness stops. When we stop and bring our mind back to our body, we can pay full attention to all that is happening in the present moment. We call this “mindfulness.” To be mindful means to be here, fully present, and fully alive, unencumbered by thoughts of the past or the future, our worries, or our projects. It is only when we stop that we can encounter life. When we stop, body and mind can reunite and then we can experience their oneness. By stopping the activities of our minds and bodies— by just sitting quietly, breathing in and out, being silent within, and releasing our tension and worry— we become more solid, more concentrated, and more intelligent. Now we can look deeply at what is happening inside and around us. Releasing our tension and worry allows us to focus on the happiness available to us right now, by allowing us to see that the conditions for our happiness are already present. The foundation of happiness is mindfulness. The basic condition for being happy is our awareness. If we’re not aware that we’re happy, we’re not really happy. When we’re having a toothache, we know that not having a toothache is a wonderful thing. Yet when we don’t have a toothache, we’re still not happy. A non-toothache is very pleasant. There are so many things that are enjoyable, but when we don’t practice mindfulness, we don’t appreciate them. When we practice mindfulness, we come to cherish these things and we learn how to protect them. By taking good care of the present moment, we take good care of the future. Working for peace in the future means finding peace in the present moment. But when we practice awareness, we discover that the opposite may be more helpful: “Don’t just do something, sit there!” We can train ourselves to stop from time to time throughout the day, to come back to the present and let go of our worries and preoccupations. When our minds and bodies are calm, we can see our situations more clearly and we know better what to do and what not to do. This is a good habit to develop. 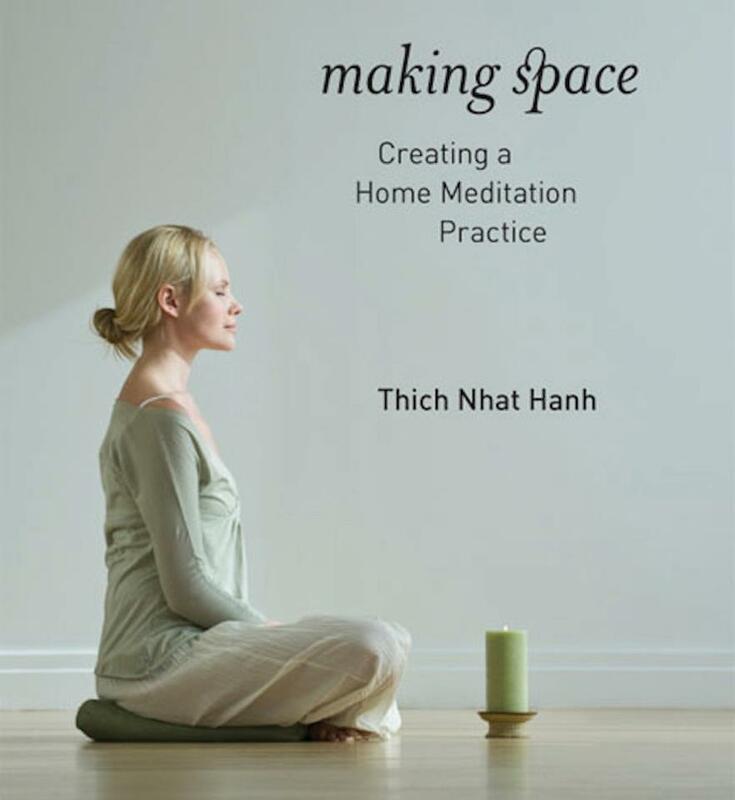 This entry was posted in Inspiratii, Spirit liber and tagged happiness, mindfulness, space, Thich Nhat Hanh by Veronica Godeanu. Bookmark the permalink. Thank you very much! It is one of the joys of my today. A good thought to each of you! Sorry for mistakes if there are. „Asa incat nu voi urmari actele vecinului care domneste de cealalta parte a muntelui.Caci nu stiu sa vad, in zborul unui porumbel, daca se indreapta spre porumbar sau isi umple aripile de vant, caci nu stiu sa vad, in pasul unui om care se indreapta inspre casa, daca el cedeaza dorintei nevestei lui sau plictisului datoriei, daca pasul lui construieste dragostea sau divortul.Dar cel pe care-l tin ferecat in temnita, daca nu scapa prilejul si pune piciorul pe cheia pe care o uit, pipaie zabrelele pentru a vedea daca vreuna se clatina si isi cantareste paznicii din ochi, pe acela il vad deja plimbandu-se in libertatea campului. Un gand bun la fiecare.